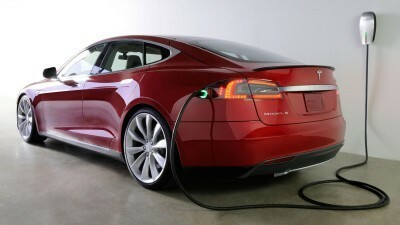 After promising that electric cars would retain all their tax advantages in the new state budget, the Norwegian government has charged up opposition over a reported proposal to impose a new one-time tax that seems tailor-made for those buying popular, high-end Teslas. One of the government’s own former support parties, which it still needs to form a majority in Parliament, was calling any new “Tesla tax” a violation of their agreement. Newspaper Aftenposten reported just before Finance Minister Siv Jensen was due to present the government’s state budget proposal for 2018 that it would contain a new tax based on the weight of electric vehicles. Since Teslas are the heaviest of the so-called el-biler on the market in Norway, it reportedly would apply only to them, making them up to NOK 70,000 (nearly USD 9,000) more expensive. Ropstad was referring to the agreement struck in 2015 between the Conservatives’ and Progress Party’s minority government and both his party and the Liberals. It called for extension of tax incentives for the purchase of electric cars, including exemption from Norway’s otherwise high one-time tax (called engangsavgift) that can double the list price of a car. The agreement was supposed to run until 2020, and Ropstad claimed that imposition of any new tax or fees on Teslas would violate that agreement. Frederic Hauge, leader of the environmental group Bellona and a Tesla owner himself, was furious over reports of the new tax. “This will make it even more difficult for Norway to meet our goals for emissions cuts, and it sends a signal to the car industry that we’re not interested in large electric cars,” Bellona told NRK. Jensen faced a long day on Thursday, with reporters outside her home at 6:30am as she left for work and interviews due to extend well into the night. Jensen would be presenting the new state budget proposal on the floor of Parliament from 10am.